Occasionally I am asked if I quilt for others. The answer is, yes. Yes, I am now willing to quilt for others. I am very proficient with edge to edge designs, and currently use a Handi Quilter Pro Stitch Avante to complete this work. I have trained with an established local quilter and also completed Pro Stitch training with Handi Quilter in Utah. I am not willing to do custom work for others at this time, mostly due to time constraints. I regularly use “panto” designs from Intelligent Quilting and Wasatch Quilting. The quilting has turned out very nice on these. I have many designs available and am willing to purchase or design something specific by request. Let me know what your thoughts are for the quilt and I might be able to recommend something. Please feel free to contact me through the form below. I do not post my email address here directly for spam reasons. I understand, that due to my minimum fee that I am not the “low cost leader”. It takes time to load, layout designs, prepare the thread, and work carefully on the quilt. With any project, I want the results to be beautiful! Quilting is my hobby, so quantity of work is not my goal. – $0.02 / square in. I am willing to provide batting, backing, and thread for a fee. However, I am not a wholesaler, so these items would be at cost. We can discuss this if you contact me. I can accommodate up to a king size quilt. Batting: I commonly use Warm Company, Quilters Dream, and Hobbs batting. Threads: My favorite thread is Aurifil 40 Wt. Cotton. I am also open to Polyester. 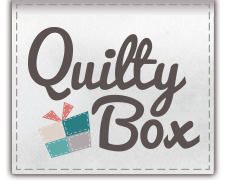 I quilt in a smoke free, organized environment located in Overland Park, Kansas. Turnaround time varies. It depends on what is currently loaded on my machine. These days, it is rarely empty!